What Secularism is and Where It Needs to Be Headed. Conferenza di Romila Thapar. Di seguito riportiamo il testo tratto dalla conferenza che Romila Thapar ha tenuto il 19 agosto scorso in occasione del Asghar Ali Engineer Memorial Lecture presso la Jamia Millia Islamia University. A secular society and polity does not mean abandoning religion. It means the religious identity of an Indian has to give way to the primary identity of a citizen. And the state has to guarantee the rights that come with this identity, as the rights of citizenship. Romila Thapar nel suo studio a Delhi. Credit: The News on Sunday. In speaking about Indian society and the secular, let me say at the outset, that secularism goes beyond just politics, although our political parties have attempted to reduce it to a political slogan. So one party endorses it in theory but hesitates to apply it properly in practice, the other makes fun of it since the party’s foundational ideology is anti-secular. Supporting secularism or dismissing it, is not just a political slogan. It is deeply tied to the question of the kind of society that we want. This is perhaps why it was widely discussed in the early years of independence whereas now attempts are being made to scuttle it. Questioning the secular would mean seriously changing the direction that we have intended to give to Indian society. If secularism is removed from the constitution then democracy becomes a victim, with an unthinkable future.If however we want a secular society, then we would have to stop identifying ourselves primarily by religion, caste or language, and start thinking of ourselves primarily as equal citizens of one nation, both in theory and in practice. This involves mutual obligations between the state and the citizens and between citizens, not just in theory as of now but in actuality. The relationship of other identities such as religion, caste, language and region will inevitably become secondary. These latter have to be adjusted so as to ensure that rights of citizenship together with what they entail remain primary. Eventually the state will not be expected to support any religious organisation, even those it is currently supporting. I would like to begin by trying to explain what I mean by the terms secular, secularism and secularising. Secular is that which relates to the world and is distinct from the religious. Secularism involves questioning the control that religious organisations have over social institutions. This is sought to be justified by arguing that it ensures morality. But the morality fundamental to secularism goes beyond any single religion and extends to the functioning of the entire society. Secularism does not deny the presence of religion in society, but demarcates the social institutions over which religion can or cannot exercise control. This distinction is fundamental. And finally, secularising is the process by which society changes and recognises the distinction. When the term was first used in 1851, secular had only one basic meaning. It described laws relating to morals and social values as having been created by human society in order to ensure the well-being and harmonious functioning of the society. These laws were neither the creation of divine authority nor did they require the sanction of divine authority. Authority lay in working out – through reasoning and sensitivity – what was best for society in keeping with generally accepted values of tolerance and social responsibility, by those who constituted that society. Authority was exercised through laws. Social values therefore grew out of rational thinking, debate and discussion. This was needed to establish a moral code agreed to by the entire society and was not linked to any particular religion, caste or class. What this means is that the laws and social values that govern the society should be observed as laws in themselves and not because they carry any divine sanctions. They have their own authority distinct from religion or caste or whatever. Religion involving belief and faith in a deity and in an afterlife continued to exist. However, the civil laws were sanctioned and upheld by secular authority and did not require the sanction of any religion. Secularism therefore is not what it is sometimes said to be – a denial of religion – but a curtailment of the control that religious organisations have over social functioning. And I would underline this definition repeatedly. This theory after it came to be widely discussed had various consequences. One was that it allowed people the freedom to think beyond what was told to them as being religiously correct. Again this did not mean throwing religion overboard but disentangling the codes of social behavior from religious control. This did not make people immoral as some had feared at that time, since the threat of punishment for breaking laws was enforced, and punishment came immediately in this life. It was not postponed to the next life as in most religious codes. So it made people think about the purpose of their laws and such thinking is always extremely useful. The observance of the law is strengthened when people understand its purpose. Having to reason things out meant that people had to learn to think independently. The thinking came from their education. Here too the explanation of everything being part of a divine plan and requiring divine sanction was not always the answer to simple questions. Therefore, education began to involve searching for explanations other than those based on faith and religion, or possibly even honing these explanations if there was evidence to do so. But preferably, social laws began to be drawn from rational enquiry into both the natural and the human world in which we live. Occasionally there might even have been a small leap of imagination ultimately to be explained by reason. So the explanations for the laws and a discussion of these, became an essential part of education, and of thinking about the implications of being secularised. Secularism sepiaReligion had originated as a personal emotional need. This was then extended to explanations of how one experienced life and beyond that how the universe functioned. This was all attributed to a supernatural power who was held in awe. Gradually however, this personalised religion became a complex organised religion and took the form of institutions ambitious to control society and politics. With this change, religion became powerful both as the focus of belief and as an authority controlling social institutions through various religious organisations. In some places, its power paralleled that of the governing authority – the state. It is this particular aspect of religion – the control that religious organisations have over social institutions – that the secular person wishes to keep separate from the state. The distinction is important because we often overlook it, in saying that secularism denies religion altogether. Secularism then takes on an additional meaning. The state having authority over the making and observing of laws by human agencies should be distinct from religion since religion has its sanction from faith and from deity. The authority of each was clearly different. Social laws are the spine of a society. They should protect the right to live and they should ensure that there should be no discrimination that affects life and work. This is crucial to protecting the points of change in the human lifecycle for which laws are necessary, such as registering birth, marriage, or even divorce, processes of education by which a child is socialised into society, occupation and employment, and inheritance, generally of property. Actions linked to these come under the jurisdiction of civil law. To make this link effective, social laws have necessarily to provide the basic aspects of welfare in a modern state – the absolute minimum of which are equal access to education and to health care for all members of society, and to employment, and this is to be irrespective of religion and caste. If civil laws are to be universal and uniform as they would be ultimately in a secular society, then we must guarantee this endorsement by the state. Discrimination on any count would be completely unacceptable. So religious authority continues in a secular system but is limited. It extends only to governing religious belief and practice. It has been argued that there should be no rigid barrier between religion and the state, but there can be a negotiated, principled distance between them. This can allow for new alignments within the religion or between religions or between religion and the state. The overall relationship would disallow the dominance of any single religion since each would have equal rights on the state and the state on them and equal status before the law. Nevertheless, there is a degree of stipulated separation in this arrangement in as much as religious authority would no longer be controlling social laws. This is not of course the same as what is sometimes described as the Indian definition of secularism, namely the coexistence of all religions. Mere coexistence is insufficient as religions can still be treated as unequal and some be marginalised, as they often are. The acceptance of coexistence together with equal status before the law can certainly be a first step. But we do have to ask how far does this go and what should be the next step. This definition based on the coexistence of religions is incomplete in many ways since the question of the jurisdiction of religious authority remains unanswered. The intention would in any case be not to put up barriers between state and religion. It would be to demarcate the activities that come under a civil jurisdiction and those that would continue to be controlled by the organisations representing religious authority. In a democratic system the equality would be essential – as essential as spelling out who controls which laws. In contemporary India, the coexistence of religions exists but their equality has yet to be established. The secular is less evident and some might even say that it is virtually absent. Political and state patronage does not invariably distance itself from religious organisations. In fact, it is sometimes closely tied together as we know. Some oppose secularism by arguing that it is a western concept not suited to India. Should the same be said about nationhood and democracy, both new to post independence India? And surely our internalising the new liberal market economy is a far stronger imprint of the west. To support the secularising of society does not mean subordinating ourselves to a western concept but rather trying to understand a process of change in our contemporary history. Being a nation-state is a new experience of modern times and is current now in every part of the world. We have chosen democracy as the most feasible system despite its being new to us. I would argue, that a secular society is essential to democratic functioning. Let me turn now to the specifically Indian aspect of the subject and comment on how I see religion and society in the past in order to compare it with how it is viewed in our times. My argument is that colonialism introduced a major disjuncture in how we perceive ourselves and that we have accepted this without much question. Any deliberate social change with sizeable consequence becomes a little easier to handle if one can see the earlier historical forms of the society and its gradual mutation. The present, after all, does emerge out of the past. In the important area of the relationship between society and religion, we have been nurtured on ideas about how religion functioned in India. These ideas came from colonial views of Indian religion that we have internalised without adequately questioning them. So a brief look at these might be useful. Colonial perceptions were based on the European experience of religion in the context of European society. With reference to Europe, secularism is often described as the separation between Church and State. This is taken as a one-to-one relationship because generally the religion was a single monolithic religion. This was so strongly asserted that in past times those that questioned Catholic belief and practice in Europe were heavily punished as heretics. Some were burnt, some had to recant as did Galileo and many faced the punitive actions of the Inquisition. Although Protestantism later was more flexible, the earlier experience was not forgotten. This was the perspective of religion that was familiar to the colonisers. Their reading of Indian religion was through this perspective. Recent writing on Indian religion and society suggests that this was a defective view and therefore needs reinvestigation. The colonial image of Indian society projected two nations – the Hindu and the Muslim – defined by monolithic religious identities and inherently hostile to each other. And because of their mutual hostility, a controlling authority from outside was required. This became one justification for colonial rule. As many historians have pointed out, this image was then imprinted on the history of India – especially on the medieval period – thus enforcing a distancing between the two religions. The concept of majority and minority communities identified by religion was also introduced by colonial policy. This further consolidated the idea of monolithic religions and these in turn fueled communal politics. Permanent majority and minority communities are of course contrary to the norms of democracy. A democratic majority is formed on each occasion when a large number of people come together in support of a particular opinion. The number has to be larger than of any other group, and those that join it are not restricted to membership of any previous affiliated organisation. Forming a majority, therefore, is not based on any pre-existing religious, caste or linguistic identities. The constituents of the majority change with each issue. There are no permanent members of majority or minority communities. Anti-colonial nationalism tried to confront this image since broad based nationalism has to be inclusive, has to induct a range of opinion, and has also to draw on a shared history. The shared history is crucial. I would also like to quote Eric Hobsbawm who wrote that history plays the same role in nationalisms as does the poppy in the life of opium addicts. It is the source. It feeds ideas of identity. Anti-colonial nationalism did not question the monolithic nature of religious communities. It focused on denying their antagonism and projecting their coexistence. This became central to its idea of secularism. But this did not fully succeed. 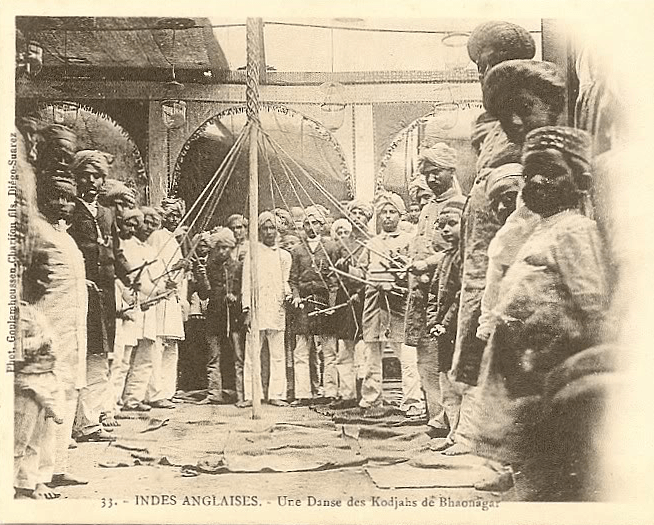 One reason was that the colonial view of religion in India was, and it still is, also foundational to the ideologies of what are now referred to as religious nationalisms, Hindu and Muslim, that went into the making of the communal landscape of India. In other words, anti-colonial nationalism and both the religious nationalisms build on the colonial construction of Indian religion, though the first borrows much less so whereas the second make it foundational to their ideologies. A century or so ago, the organisations propagating religious nationalisms were the Muslim League and the Hindu Mahasabha. These were not religious orthodoxies but rather ideologies using religion for political mobilisation. Today, religious nationalisms include a range of Hindu, Muslim, Sikh and other religious organisations, politically ambitious and anxious to continue their control over community laws to ensure a political constituency. History in religious nationalisms is not shared, it is divisive and it becomes the arena of battle. The struggle over history text-books, therefore, is the attempt to ensure the projection of a history slanted towards one religion and a denial of a shared history. We may well ask was this actually the way in which religion functioned in relation to Indian society from early times? Have we looked analytically at our past? Have we examined the role of religious organisations from that past? What form did these organisations take, how did they exert authority and which sections of society supported which organisation ? I would argue that the historical picture of religions in India was complex. It was not just a simple binary of Hindu and Muslim, because religious groups took the form of an array of sects, and not of a large monolithic community. I see it in terms of two sets of relationships, each required for investigating the link between religion and society. The first was the interaction of sect with a close social linkage through caste connections, present in every segment of Indian society. The second was the mediation with and through political authority that then became a three-way process involving sect, caste and the state. There was no church to bring together the sects into a single entity. In other words, I’m arguing for a much more decentralised way of looking at religion. In the Indian past, the crucial relationship lay in the connection between multiple religious sects and many castes. The sect propagated belief, the caste often determined its social context. Status was measured through an interdependence of the two. Upper castes across religion – whether they observed caste restrictions strictly or not – tended to be more closely associated with the text-based formal manifestations of the religion, whereas the lower castes, perhaps being less text-based, were far more flexible. Caste determined the social code, maintained formally by those who claimed to be educated and knew the law. For most people, however, it was the hearsay of tradition. The authority of caste and sect over the social code has now to be replaced by civil law applicable to all. This will require looking afresh at the civil law claimed by all religions to ensure its secularity and its endorsement of social justice. Both secularity and social justice are familiar as values but their application in social institutions is new. Many valuable and meticulous studies have been made of religious texts that have enhanced our understanding of them. However, less attention has been given to examining the institutions created by various religions both to propagate their beliefs and as agencies of social control. Rather than focusing on monolithic undifferentiated religious society in general, what may be more insightful is if we study the link between caste and sect in order to comprehend more precisely the interface between religion and society in our past. The link between caste and sect had a flexibility, even a fluidity that monolithic religions lack. We could then ask whether the rigidity lay less in religion and more in caste discrimination. In that case, the colonial construction of religion in India, so readily accepted by us, would need to be examined again. Perhaps we need to look more carefully at how caste in past times and now class in its turn, has shaped and is shaping the relations between religion and society. Which groups in society support which politico-religious organisations and why. In pre-Islamic times, there are no references to any monolithic type of Hinduism. Interestingly, what we today use as labels for religion, such as Hinduism and Buddhism, are not mentioned as such. Instead, there is reference to two broad categories of sects that propagated their distinctive ideas. These were the Brahmana and the Shramana. The basic differentiation was based on belief in or denial of, divinity, and the theories of the afterlife. Brahmana referred to brahmanic beliefs and rituals, Shramana referred to the shramanas or Buddhist, Jaina, and other monks of so called heterodox orders, the nastika/non-believers, and their followers. The latter rejected the Vedas, divine sanctions and the concept of the soul. They were consequently associated with more rational explanations of both the universe and human life. Within each of the two, distinct sects with various beliefs were recognised. Neither of these were monolithic groups. They were a collection of diverse sects. This duality of Brahmana and Shramana continues to be used in a variety of texts with reference to what we would today call religions, and over a period of 1500 years from the edicts of Ashoka, to the accounts of Megasthenes, the Chinese Buddhist pilgrims, and Al- Biruni in the 11th century AD. References are made in Brahmanical texts such as the Vishnu Purana, and in Buddhist texts, to occasional hostilities between the two. Interestingly, they use the same abusive terms for each other. The grammarian Patanjali of the early centuries AD, refers to the two and adds that their relationship was comparable to that of the snake and the mongoose. A third category that is not mentioned was that of those who were discriminated against because of their caste or lack of it. Because of this, they had their own belief systems and forms of worship. This was the category that was intrinsic to caste. The equivalent of what we call the Dalit today is found in every religion under different names, such as, pasmanda, mazhabi, etc;. The Dalit is present even among those religious sects that claim that all men are equal in the eyes of God. Technically all Dalits, irrespective of religion, should have the same rights but this is not generally conceded. Among the multiple sects that were emerging over time, some adhered to the orthodox and others were supporters of the heterodox. The advantage of sects over monolithic religions is that sects shade off from the very orthodox to those far less so. This allows the less orthodox to assimilate new beliefs and these are not treated as heresy. The heretics function in a stream of their own. Our understanding of conversion would be much clearer if we could focus on sect and caste, wherever the evidence exists or can be traced back. This would provide a far better explanation than merely going on referring to Hindus becoming Muslims. What we understand of historical interactions in the past moulds to a fair extent our thinking about present-day interactions. It is, therefore, incumbent upon us to be far more analytical and precise in our historical exploration and explanation. We should not allow history to be reduced to, or dismissed, as political slogans of various kinds. The creation of a sect was open and led to a plurality that became characteristic of every religion in India. This constitutes an important aspect in understanding the relationship between religion and society, and these relationships differ from society to society. We cannot assume therefore that the role of religion that emerged for Europe can be applied automatically to India – a mistake made by colonial scholarship. This does not imply that the meaning of secularism can change, but that the manner in which it is introduced into a society may vary. Since Shramanism in the main was based on historical founders, it takes a fairly linear form with segments referring back to a central teaching. The history of Brahmanism is far more complex. An early phase was Vedic Brahmanism focusing on the ritual of sacrifice, the yajna, invoking many deities and specially Indra and Agni, and performed by upper castes. A variety of heterodox sects, pre-eminently the Buddhists, Jainas and Ajivikas, questioned these beliefs. Heterodox groups tended to provide rational explanations about social institutions and established a critical tradition of questioning orthodoxy, although eventually establishing their own orthodoxies. By the early centuries AD, Brahmanical ritual became more individualised with a shift to the worship of Shiva and Vishnu. Sects of worshippers came together differentiated by particular deities, as for example the Vaishnava Bhagavata and the Shaiva Pashupatha. From the seventh century, religious belief and worship took the form of devotional sects – what we call the Bhakti sects. They arose at varying times in different parts of the sub-continent. The earlier recognisable ones were the Alvars and Nayannars in the south to be followed by many in the north. Some among the later ones reflected striations of new religious ideas. Both Brahmanism and Shramanism received hefty patronage and became wealthy, powerful, established religions. This gave them status and enabled them to control social laws. Donations were made to sects and not to a monolithic religious entity because this did not exist at that time. This continued to be the norm even in later periods. Centres of the wealthy sects became the nucleus of education. This added to their authority and they could induct the elite. Frequently, sects with large followings and authority began to function as castes in themselves as for example the Lingayat in Karnataka, and many others in others parts of the country. They did not necessarily identify with the formal religions, and some actually opposed them. But in colonial records they were assigned to either one or the other. With the arrival of Islam and more so with the presence of the Sufis, the exploration of religious ideas – orthodox and heterodox – expanded, as did the number of sects. Some took orthodox positions, others held out mixed beliefs and worship. The latter were popular among the larger number of ordinary people. The new presence was marked by the elaborate mosques and khanqahs built by royal patrons and the wealthy. The religious endowments became richer and richer, as is so in all well-patronised religions. As with Buddhist monasteries and Hindu temples and mathas, these endowments tied to Islamic centres also enabled their recipients to participate in the world of scholarship and in politics. Detailed studies of the social institutions controlled by various religious authorities that we refer to as the Hindu, Muslim, Sikh etc. would be revealing. As in earlier times the sect remained the popular religious identity among the majority of people. This becomes more evident if we look at two processes involved in the coming of Islam – settlement and conversion. Today this event is projected at the popular level largely in terms of invasion and its subsequent political consequences. But there were many other avenues that took different forms, as in the settlements of traders, migrants, Sufis and such alike. Mohammad bin Qasim’s conquest of Sindh is known. But far more interesting were the settlements of Arab traders all down the west coast of India from Sindh to Kerala. Some Arabs entered the service of the Rashtrakuta kings of the Deccan dating to the 8th and 9th centuries. The more senior among them exercised their right to give grants of land to temples and brahmanas as had been the prevailing custom in the area. Arab traders inter-married locally and new communities evolved with a new take on existing religions. Inevitably, these became new sects – such as the Bohras, the Khojas the Navayat, the Mapilla and many others – where belief, ritual, and civil law did not hesitate to draw from existing practice. So no two were identical. Gujarati Bohras had little to do with Malayali Mapillas. Many such sects mushroomed all over but have not been sufficiently studied as part of the history of society and religion. This pattern continued into later centuries at the level of the wider society. This was despite the emergence of other patterns that arose from political power and administration. Such dichotomies run through history and only their constituents change. The newly emerging teachers of various persuasions attracted supportive followers. Until recently, these remained the essentials of how a major part of Indians experienced religion irrespective of having to declare conformity to formal religions in colonial times. This was prior to the ingress of Hindutva and Islamisation, that have considerably hardened the boundaries and even altered practices. Many people today who identify themselves with the monolithic religion, whichever it may be, when pressed further, will mention the sect that they belong to, or the holy man whom they revere – the baba, guru or sant – who can be of any persuasion. This link is often more pertinent to the lives they actually live. And interestingly, the sects that they identify with are generally those that were established in the last thousand years. In the history of India, medieval history, which colonial historians called the Muslim period, is located in the last thousand years. This history has had a raw deal from religious extremists and politicians in being described as the age when, to quote the slogan, “We were slaves” – the assumption being that Islamic rule tyrannised an oppressed Hindu population. This is a continuation of the British interpretation of Indian history eagerly taken up by religious nationalism. Viewed historically, the scene differs at many levels. The interaction between what we call Hinduism and Islam had its moments of confrontations and conflicts in the face offs between competing politics and were manifested in various ways, and often through religious organisations. What was a largely political act at that time is often interpreted today as an entirely religious act, with the politics left out. Some confrontation was to be expected. Such confrontations were not new to the Indian scene if in earlier times the brahmanas and the shramans had a relationship comparable to the snake and the mongoose – and this was probably a correct assessment as we know that in some regions Buddhist monks were killed and in others Jaina monks were impaled. In the subsequent millennium, that is the last thousand years, things may not have changed strikingly. It was neither a culture given over to religious aggression as colonial scholars maintained, but nor was it entirely free of such aggression. It was, in fact, a normal culture similar to many others in the world at the time. But as was so in earlier times, the medieval period continued to be a time when striking creativity enriched facets of Indian culture and we still live with these. The intellectual liveliness of the time expressed in Sanskrit and Persian and in the regional languages matched that of earlier times, although in different genres. It was precisely this period that gave shape and form in various ways to much, although not all, that we now identify as Hindu in the landscape of present times. Leaving aside for the moment the interaction of cultures practicing diverse religions, even some of the activities clustered around the Brahmanic tradition are most impressive. Throughout the second millennium AD, that is the last one thousand years, from Kashmir to Kerala and in between, there were scholarly commentaries being composed on Brahmanical texts and religious practice. Sayana’s explanation of the Rig Veda is a fascinating glimpse into the mind of a learned scholar of the 14th century with its mix of reality and fantasy. Social change draws out new commentaries on existing social codes. Kulluka’s commentary on the Manu Dharmashastra incorporates a reaction to the social change of the times, as in the debate over the status of temple priests vis-à-vis other categories of brahmanas, a matter of concern only when temples became powerful institutions, at a time simultaneous with the arrival of Islam in the sub-continent. The looting of some of the wealthy temples did not prevent the building of other equally wealthy ones and striking innovations in architecture. There were many commentaries, digests, discussions on classical Sanskrit poetry and literary compositions. With the gradual switch to the regional languages, grammars required commentaries. New and prior philosophical theories are discussed in texts such as the Sarva-darshana-sangraha of Madhavacharya in the 14th century. Discussions on the Advaita Vedanta and Mimamsa schools of philosophy, to mention some, date to this period. There were explorations into theories in mathematics and astronomy going from Ujjain to Baghdad and beyond, with Indian scholars at the cutting edge of knowledge. Classical Hindustani and Carnatic music was patronised by the courts of Maharajas and Mughals and in the homes of the wealthy. 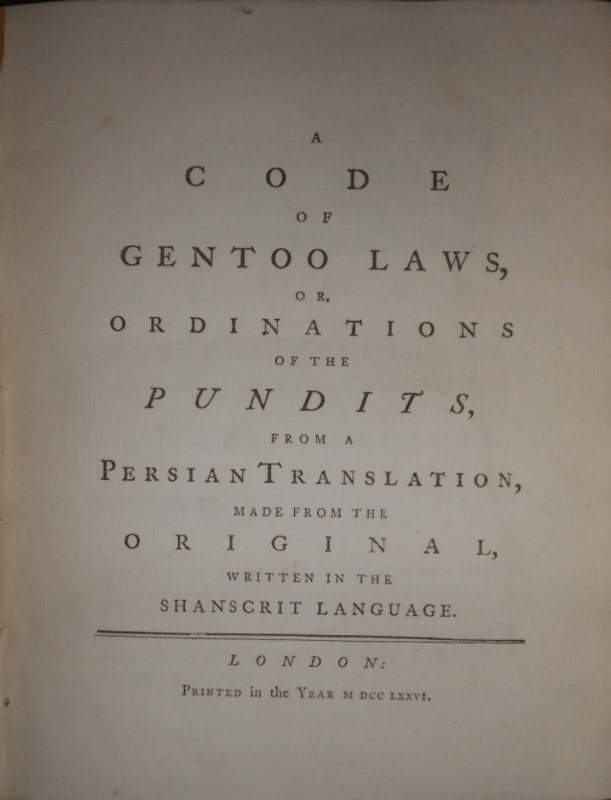 In addition to Sanskrit and Persian, literary compositions of high quality began to be composed in regional languages that acquired a new standing in the royal courts and in places linked to religious sects. These compositions carried much of the thought and creativity of their own times, as is evident in the Ramacharitamanas, and the Krittibasi, distinct from the Valmiki Ramayana and much revered by Hindi and Bengali speakers. There were even alternate histories sung as legends by folk poets and bards, very different from the court chronicles that we quote. These were the voices of numbers of people as also expressed in the bhajans of Meera and Surdas and the compositions of Tyagaraja. These were not the achievements of enslaved people. We are today unable to look beyond what we have been told by those who colonised us, and those who loyally continue to carry on with that legacy. In this rather scattered attempt to look at some aspects of the past, I have tried to underline the plurality in the articulation of religion in India often in the form of sects and their interface with caste. To eventually disengage religious institutions from controlling the functions of civil society would help us in bringing about a more equitable society. The process of secularising society will have to address both religion and caste, and to that extent it requires a different kind of analysis from that of religions elsewhere. We have internalised the colonial version of the relationship between our religions and our society, and are experiencing its aftermath in the stridency of dominant religious organisations. We have also allowed some of these to become mechanisms for political mobilisation. Secularisation therefore will have to be thought through with sensitivity, care and thoroughness. Although it cannot be a rapid change, nevertheless a serious beginning has to be made to introduce secular values through establishing confidence in a secular society and explaining its necessary link to democracy. The resort to assassination to silence secularists can never succeed – it merely leads to the suffusion of terror that will one day rebound on those terrorising others. If there is one lesson that history teaches us it is this. A secular society and polity does not mean abandoning religion. It does mean that the religious identity of the Indian, whatever it may be, has to give way to the primary secular identity of an Indian citizen. And the state has to guarantee the rights that come with this identity, as the rights of citizenship. This demands that the state provides and protects human rights, a requirement that at the moment cannot be taken for granted. Such an identity, while adhering to human rights and social justice, would also be governed by a secular code of laws applicable to all. A beginning could be made in two possible ways. One would be to ensure the secular in education, and the other, the secular in civil laws. Education means the availability of all branches of knowledge to all citizens without discrimination. Knowledge means updated information and training young people to endorse the method of critical enquiry. I would like to add to this the need for young people to know what is meant by a shared history. Given that we are a democracy, we can perhaps work out how best this could be done. Our civil laws were drawn up in colonial times although we have made some changes after independence. In a turn to the secular, we shall have to comb through the existing civil laws to ensure that they conform to equal rights for all citizens with no exceptions. Resolving the differences between the civil laws and the laws of each religion and caste, will have to be discussed with the communities concerned and not only with those currently controlling religious and caste codes. A uniform civil code does not mean merely doing away with the laws of one religious code. It means reconsidering jointly the social laws of all religious codes and arriving at a common secular civil code. In this process, injustice and discrimination against minorities and against the underprivileged – whether because of religion, gender or caste – will need to be annulled. Law does not remain law if it can be manipulated to allow discrepancies. This is likely to be the most problematic in our turn toward secularising society. Is it not time now to start work on this? The overwhelming projection of religiosity – not religion but the excessive display of religiosity – in the world that surrounds us sometimes appears to be a surrogate for not coming to terms with real life problems; or perhaps it is due to our having become a competitive society with all its unexpected insecurities. Can we instead consider how we can make the reality of citizenship a guarantee of our social welfare, our well-being, our understanding of our world, and our wish to bring quality into our lives? The secularising of society is not an overnight revolution. It is a historical process and will need time. But hopefully it will be assisted by the recognition that the state and society need to function in a new way. Implicit in democracy is the upholding of the ethic of human action. Secularising society is an advancing of that very ethic. 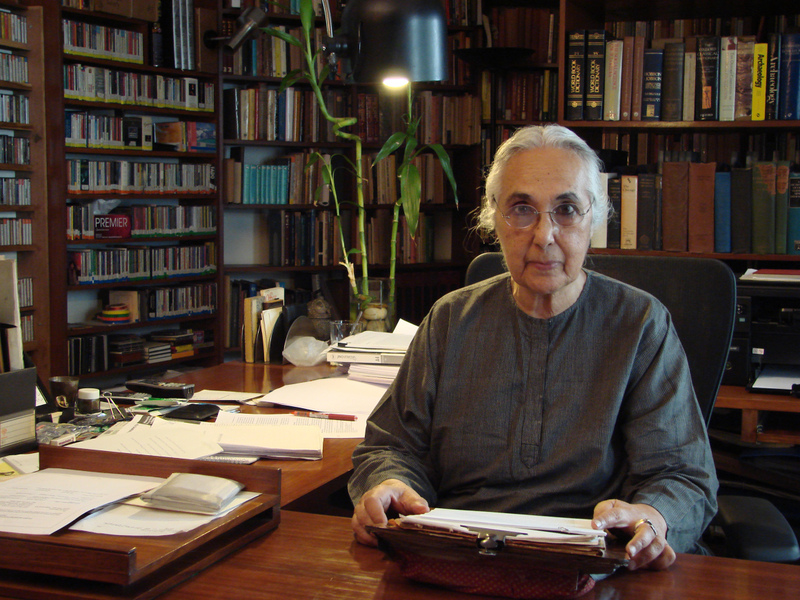 Romila Thapar is Emeritus Professor of History at the Jawaharlal Nehru University, New Delhi. She has been General President of the Indian History Congress. She is a Fellow of the British Academy and holds an Hon D.Lit. each from Calcutta University, Oxford University and the University of Chicago. She is an Honorary Fellow of Lady Margaret Hall, Oxford, and SOAS, London. In 2008 Professor Thapar was awarded the prestigious Kluge Prize of the US Library of Congress, which honours lifetime achievement in studies such as history that are not covered by the Nobel Prize. 2 Responses to "What Secularism is and Where It Needs to Be Headed. Conferenza di Romila Thapar."